Windows 10 launched globally today (29th July) and has already received rave reviews. The Guardian calls it ‘arguably the best version of the ubiquitous operating system’, going on to describe it as a ‘significant upgrade’. Meanwhile, Tech Radar praises the ‘functionally excellent’ Start Menu and significant improvement in the quality of Universal apps. Windows 10 has been described as the final version of Windows. Rather than releasing a new version in a couple of years, Microsoft will gradually update 10 over the coming months and years. In another first, Microsoft is offering Windows 10 to consumers for free. However, you need to be running Windows 7 or 8 to qualify for the upgrade, and the offer expires after a year. If you don’t own either of those operating systems, you’ll have to pay. Despite officially launching today, not everyone will be able to use Windows 10 right away. Microsoft is staggering the launch over a few weeks so they can iron out any bugs, which means most users will have to wait. Windows 10 is Microsoft’s first OS since the unpopular Windows 8 (the reason for skipping 9 has never been explained, although there are a lot of theories). Unsurprisingly, 10 takes a lot of its design cues from Windows 7 and re-introduces the ever-popular Start Menu. It also introduces Cortana, Microsoft’s personal assistant, to desktops for the first time. Like the smartphone version, Cortana helps manage your digital and personal life and learns about you over time. 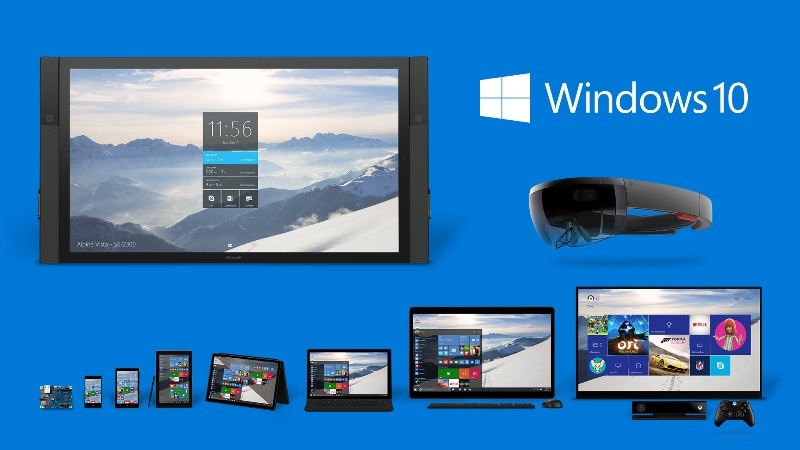 Microsoft also plans to make Windows 10 multiplatform, although it’s only available on desktop for now. Soon, you’ll be able to use the OS on your PC, smartphone (replacing Windows Phone), tablet, Xbox One and smartwatches. A feature called Continuum will let you plug your smartphone into a screen, keyboard or mouse and use it like a desktop PC. The successful launch of Windows 10 is encouraging news for Microsoft after a tough month. The company reported record losses earlier in July after writing off their £4.5bn acquisition of Nokia.